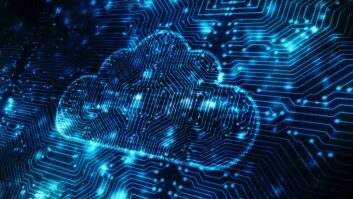 Cloud computing has been a hot topic for the last three years but broadcasters are now beginning to adopt bespoke solutions, despite remaining concerns over the security of their content. NRK in Denmark or Fox Sports in the US and Australia were some of the examples pinpointed during a conference called ‘Can broadcasters get real benefit from their Cloud?’ hosted by PaulDrinkwater from Partner Media Industry Lead, IBM. One of the key challenges is to make sure that the creative process does not feel any different for the broadcaster. “They do not want to know about the cloud, they just want to get the work done, without running through hoops,” explained Bill Roberts, the senior director of video product management at Adobe. Fox Sports in LA, for instance, went to Aframe “ which became the central portal through which all their video is loaded. It is then automatically transcoded into the correct format and they can then choose which bits of content they like and drop them into their Quantels before going to air,” described David Peto. “Cloud has come a long way in the last few years, because we have listened to our consumers, most notably to improve data transparency,” indicated Jonathan Wisler, the European general manager of Softlayer in the Netherlands.